Majesty 100 arrives in Germany for a stunning debut at one of the world’s premier yacht and boat shows. Bremen, January 18, 2018 – After a series of highly successful launches at some of the major leisure marine shows around the globe, Gulf Craft and Drettmann International will jointly showcase the new superyacht – Majesty 100 to a highly discerned clientele featuring high-net worth individuals, yachting and boating enthusiasts, industry specialists and boat prospects. Known by its German name boot Düsseldorf, the 9-day event will be held from 20th to 28th January 2018 and is slated to attract over a quarter of a million visitors, as well as thousands of media representatives. With some 1,800 exhibitors from over 65 countries, boat Düsseldorf is considered a benchmark for the international boat and water sports industry. “Though the possibilities of meeting the sea-faring world and developing our reach in the industry are immense, this event most importantly brings us face to face with the greatest critic – the end customer. Here we gather the intelligence which goes a long way when we plan our superyachts.,” said Gulf Craft’s Chief Executive Officer, Erwin Bamps. “Continuing on the success at Cannes Yachting Festival and Monaco Yacht Show, Majesty 100 continues on her voyage in style. Boot Düsseldorf is considered a benchmark for the international marine industry to showcase their flagship brands, and in our case the Majesty Yachts and Nomad Yachts brands.” added Bamps. In 2017, Drettmann expanded its portfolio as the exclusive and experienced sales partner of Gulf Craft’s multi-award-winning yachts for Europe, Russia and Ukraine – another important step towards expansion and internationalisation for the Bremen-based company. “For us, no two yachts are the same. With a great deal of experience and passion, we along with Gulf Craft usher in impeccable quality and innovative craftsmanship that elevates the customer experience to a never-before level.,” said Albert Drettmann, Chief Executive Officer of Drettmann International GmbH. “It’s the amalgamation of two vessel building heritages – one from the UAE and the other from Germany.” he added. Built to deliver the ultimate luxury cruising experiences, Majesty 100 is the first in Majesty Yachts Superyacht collection to have a partially enclosed fly-bridge, allowing guests sitting within its spacious sky-lounge area to enjoy breathtaking panoramic views. The raised wheelhouse, characterized by its 270-degree vertical glass panels offers the captain of the Majesty 100 unobstructed views of the surrounding seascapes. Offering accommodation for twelve guests, spread over five en-suite staterooms including the owner’s suite, expansive interior and exterior entertainment spaces, plus a shallow draft of just 5’ 5”, the Majesty 100 would certainly make an attractive proposition for the European charter markets. With a cruising range of 1,050 nautical miles at cruising speed, the Majesty 100 with its two powerful 1,900 horsepower engines can sail at up to 23 knots, while the economy speed of 12knots is impressively efficient. 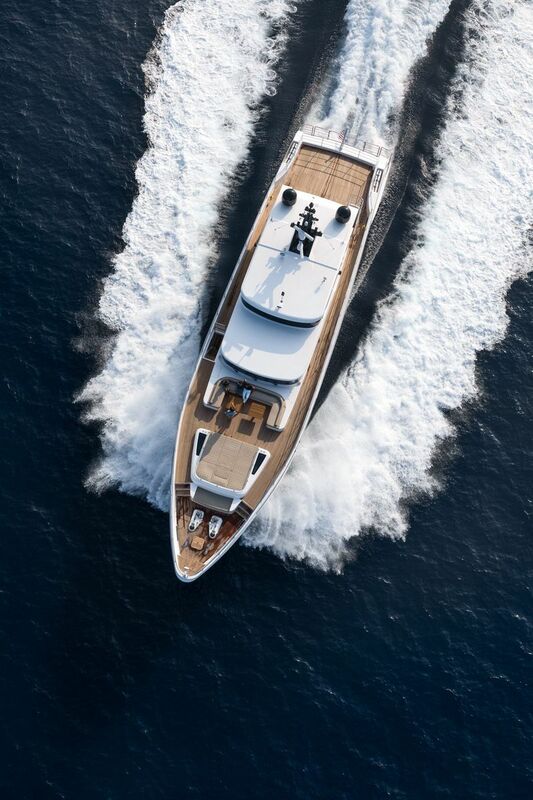 With her lavish interiors, lounging areas, immaculate exterior styling and uncompromised naval engineering, Gulf Craft’s new luxury ocean farer not only exemplifies the master craftsmanship and advanced engineering, but also encapsulates a 35-year old luxury yachts and leisure boats building heritage. The 49th boot Düsseldorf is from 20 to 28 January, 2018 at Arena-Straße, 40474 Düsseldorf, Germany. Gulf Craft will be located at stand 6D59 in Hall 6 and the event will run from 10:00 a.m. to 6:00 p.m. daily. Founded in the Emirates in 1982, Gulf Craft continues to redefine the on-water living experience with its wide variety of premium craft, ranging from 27 feet to 155 feet in length. 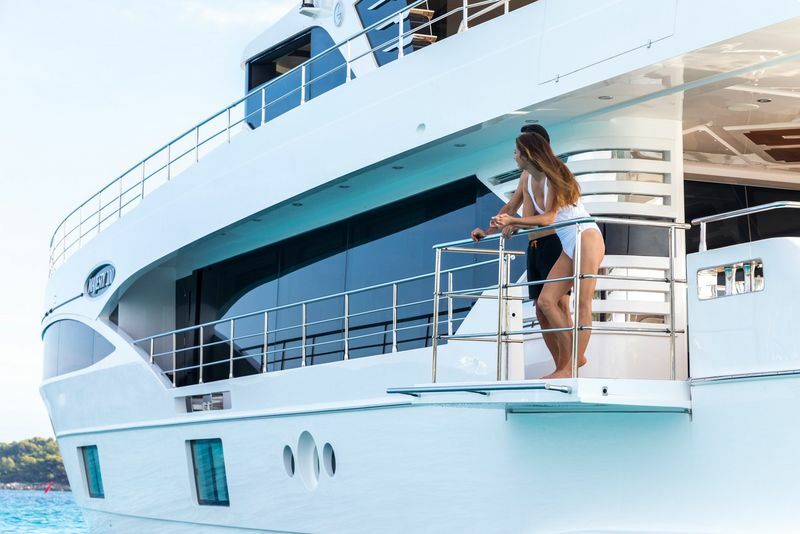 Deploying advanced technology, powerful engineering, timeless design, and world-class craftsmanship, Gulf Craft builds each innovation to create memorable cruising experiences for its discerning clientele, transforming travel by sea into a journey worth indulging in. Take a virtual tour of our innovations at www.gulfcraftinc.com. With a great deal of experience and passion, the family owned company Drettmann International personally fulfils individual requests from customers around the world. Drettmann is nearly 50 years in the yachting business and knows that a yacht is much more than a dream come true for its owner – it’s a philosophy of life. Therefore we see it as our duty to build nothing but yachts that meet the highest quality standards. From the structure to the interior fittings, we insist on the finest craftsmanship and top-grade materials. Our concept of quality goes far beyond the naming ceremony. Even the most stable yacht needs servicing and maintenance, and our extensive after-sales programme takes care of this. Every single yacht is an individual project that we see through from start to finish with the utmost care and attention to detail. To achieve this, engineers and designers work hand in hand in our shipyards to fulfil the future owners’ wishes in the best possible way.